FFA’s medical internship in Bangkok and Chiang Mai is an incredible experience, characterized by an unrivaled level of access that is simply not available in most foreign countries. As an intern on one of these specialized assignments, you’ll join internationally trained healthcare providers on the front lines of healthcare in Thailand. We understand that anyone travelling to a foreign country as an intern is going to have specific concerns about the quality of the facility in which they’ll be working as well as the safety of the patients with whom they come in contact. That’s why we maintain close ties to each of the hospitals we work with. Patient safety and comfort is the top priority for each of the hospitals that accept interns from FFA, and we wouldn’t have it any other way. As part of this medical internship in Thailand, you’ll be paired with a full-time doctor or nurse and will shadow this person on daily rounds from 8:00 am to 4:00 pm, Monday through Friday. These are highly qualified professionals, many of whom have been educated in the US or UK. Interns are only placed with doctors with an exceptional command of English. 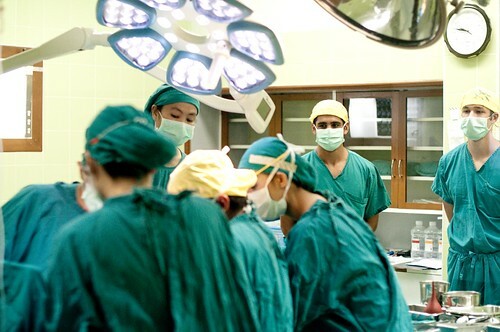 During this medical internship for undergraduates, those who apply through Friends for Asia enjoy unparalleled access to hospital facilities, doctors and the patients they treat. Each assignment takes place in an international-standard hospital in either Bangkok or Chiang Mai, where interns are paired with a full-time doctor or nurse. This is the person they will shadow for the duration of their medical internship in Thailand. All of the doctors with whom our interns work are highly qualified. Many received their credentials overseas in the United States or United Kingdom. In every case, interns will only be paired with a healthcare professional that possesses an excellent command of the English language. This assignment during your medical internship in Thailand is primarily observation based. You’ll follow your doctor or nurse on daily rounds while they consult with patients, administer treatment, and perform operations. Each stage of observation is carefully monitored and regulated to ensure the safety and comfort of the patients involved. The extent to which a medical intern can get involved in the treatment depends upon their background and skill level. For example, those who have completed significant pre-medical training, or have worked with patients in another capacity, may be granted a higher level of access. However, even those interns who have little (if any) background in healthcare still enjoy a much higher level of access to the goings-on in an international hospital than they would back in the West. With this in mind, the FFA medical internship in Thailand offers an outstanding opportunity for students interested in exploring a career in healthcare. The time they spend on assignment will look incredible on their resume or CV. We carefully vet each of the hospitals to which we send interns in Thailand. As mentioned, these include facilities in Bangkok and in Chiang Mai, all of which are keen to work with interns that have an express interest in the healthcare field. Some of the hospitals we work with are also quite historic. For example, one of the main private hospitals in Chiang Mai that accepts interns from FFA was founded in the 19th century as a humble, eight-bed clinic. Today it has grown into a much larger, more sophisticated facility that can accommodate up to 400 patients at once. Thai culture is relatively laid-back – especially when compared to cultures in the West – and this is part of the reason that high-profile hospitals are willing to take on interns interested in gaining experience in healthcare. As such, a foreign intern in Thailand is able to see and experience much more than someone in the same position back home. 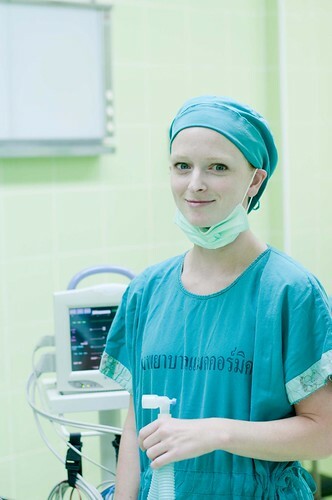 Whether applying for a medical internship in Chiang Mai or Bangkok, you’ll find that the hours you log on assignment offer invaluable insight into 21st century medical practices. You’ll develop new-found respect for healthcare providers and gain experience that can contribute directly to a career in medicine. Contact us today to learn more about this exciting opportunity. Click Here to View all the Volunteer Stories from the Medical Intern Project. Participation in the Medical Intern Project starts at $1199 for two weeks. Each additional week (over the two week minimum) is $299. for Chiang Mai and Bangkok.